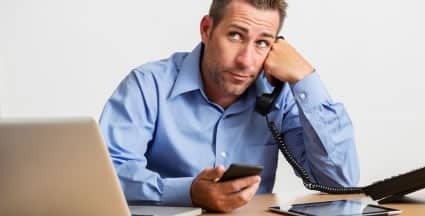 There are other contractors in the Westchester area who can do all of these services – but only Arborscape can do them all… and some services you might not expect..
Oh, the joys of calling many contractors for property maintenance. For starters, you’d have to call your lawn guy, your irrigation service, a gardener, a tree service, a gutter cleaning guy, a snow plow service and probably some others. When you hire Arborscape, all you’ll ever need is one phone number (not 6 or 10). Contractor scheduling headaches disapear. Plus, our service crews famously communicate very well. Our system is smart and efficient, translating into more savings for you because there’s never any wasted motion. We get the work done fast, one phase after another. You’ll never be forced to wait for subcontractors to do what the say they’re going to do. That’s because we have the resources and manpower to do most services ourselves. Depending on your exact needs, we can create comprehensive landscape maintenance program that addresses everything you need and nothing you don’t. For instance, maybe you need lawn care and tick control but you don’t want your planting beds maintained. We’ll design a plan around your needs. Have a look at what we can offer you and then have a conversation with one of our property maintenance professionals. 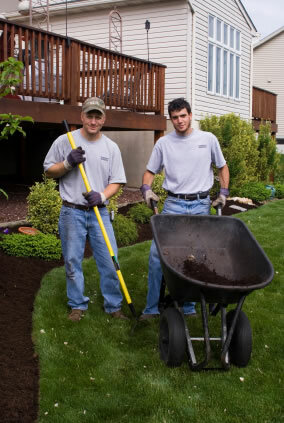 The lawn maintenance program at Arborscape is one of our most requested services. Your lawn gets the full spectrum of services under one affordable contract. Not only will you get a tightly manicured lawn… it will be lush and green, guaranteed. Complete property maintenance, soup to nuts. We can custom tailor a maintenance contract that fits the specific needs and budget for your home or business. Pristine commercial landscape maintenance – Chappaqua NY, Bedford NY, Armonk NY… and more. Programs begin in early April and continue until Nov 30th. Residential and commercial snow removal services can also be built into our maintenance plans.